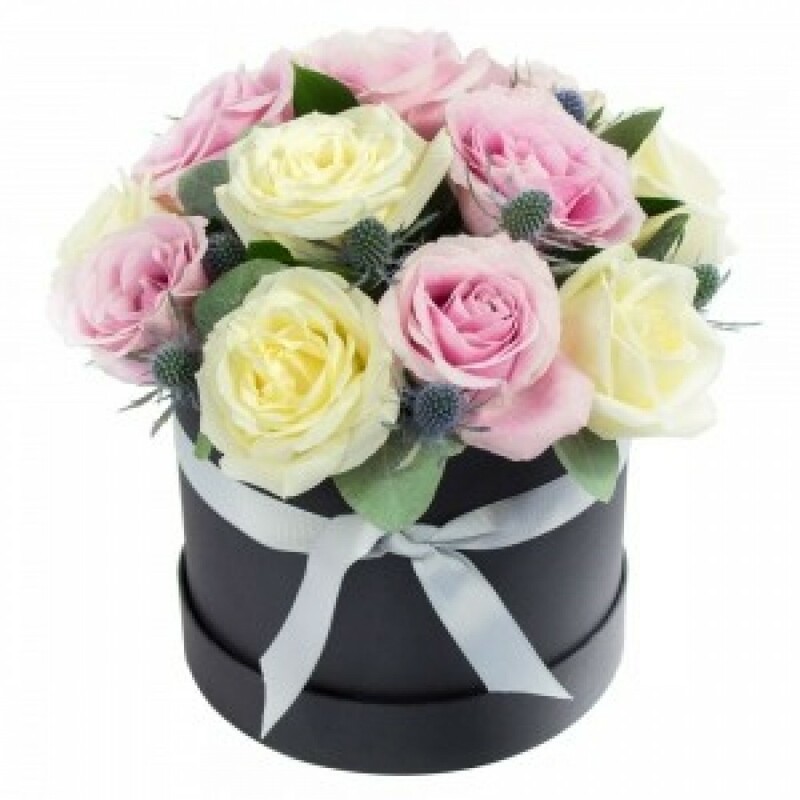 A delicate arrangement of 12 fine pink & cream roses, crafted and delivered in a hatbox by a professional florist makes this a stunningly luxurious gift to send to someone special. . Please note: the gift box style may vary from the one pictured. The florist may substitute individual flowers at their discretion.